This is Andrew, a patient of Dr. John Mew of England. He developed orthotropics® over 50 years ago, and he is world-renowned for his work. Dr. Mew says that orthotropics® tries "to correct the environmental problems by means of appliances that strengthen the jaw muscles and train the patients to keep their mouths closed in the expectation that this will encourage forward growth of the face instead of the more usual downward or vertical growth." 1. A more natural and balanced appearance of the face. 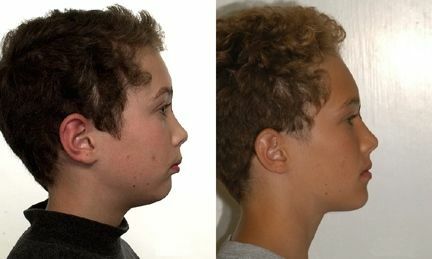 Without Biobloc Orthotropics®, this boy's genetic potential would not otherwise have been reached during normal growth. 2. A better and more stable bite. If oral posture and function are correct, the teeth stay straighter and the bite function is best. Bringing the upper front teeth back to meet a lower jaw that is too far back only worsens the problem, and doesn't address the root problem (oral posture). 3. The potential for a better airway, and presumably less risk for sleep apnea. A larger airway means less risk for Obstructive Sleep Apnea, which means less risk for strokes, cardiovascular disease, heart attacks, hypertension, and a shortened life!! 4. A healthier jaw joint. When the lower jaw is not allowed to be in a healthy position, jaw joint problems like clicking and pain are more likely. 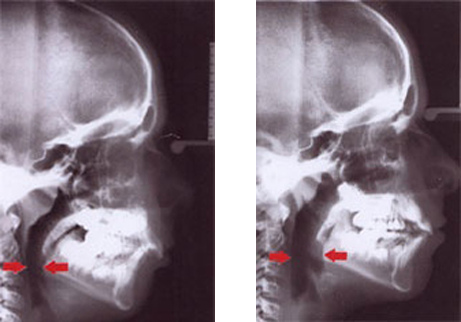 Many treatments for Temporomandibular Joint Dysfunction (TMD) involve bringing the lower jaw forward. Orthotropics® is believed by many experts to be "preventive TMJ care." Orthotropics® is guiding the natural growth of the face from a young age to avoid mal-development. "Biobloc Orthotropics®" is another name for the same thing. also have websites which are good resources for you. On Dr. Hang's website, you can see this and many other videos available on YouTube. 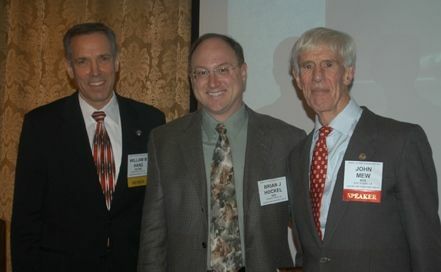 He is the top US expert on Biobloc Orthotropics® and I highly recommend a visit to his website. Both Drs. Brian and Jack Hockel have studied with Drs. 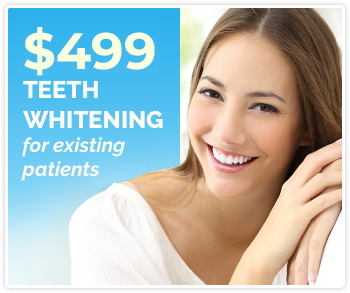 Mew and Hang, and Dr. Brian Hockel is one of only a few dentists in Northern California to provide and teach this unique kind of care. Sample Biobloc Orthotropics Cases by Dr. Hockel. Another informative place to learn about Biobloc Orthotropics is the website for the North American Association of Facial Orthotropics.